When you wake each morning, wake up with determination. Be willing to go out and do hard things. Be willing to work hard, use your time wisely and be efficient. When you do these things each day, you will go to bed feeling satisfied. You will be proud of all you accomplished and all you were able to do. Feelings of accomplishment and satisfaction are some of the best emotions you can experience. These feelings let you know that you have done something worthwhile. That you have put forth your best effort and accomplished something that you hadn't before. 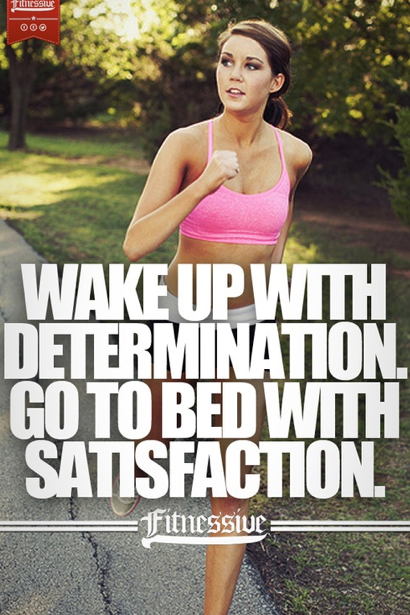 Remember, wake up with determination and you will go to bed with satisfaction.